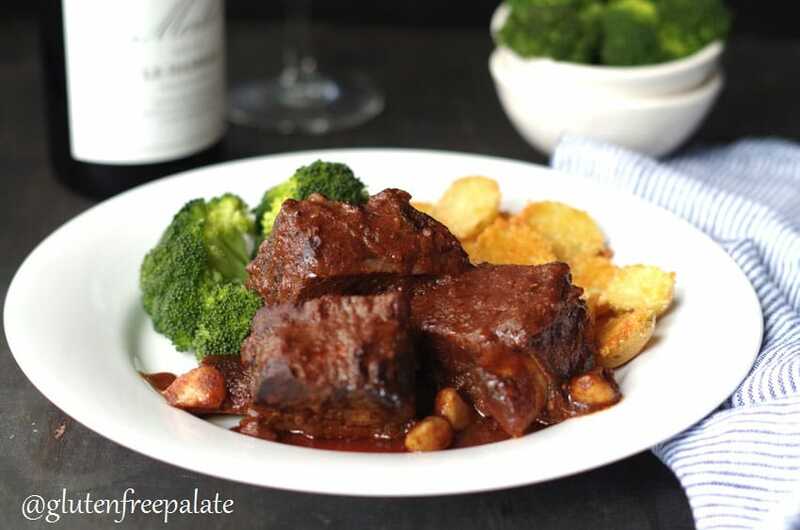 Take your dinner to the next level with this simple, yet stunning Slow Cooker Beef Short Rib recipe. Your house will smell amazing and your family will be racing to the table for dinner to enjoy these beef ribs. 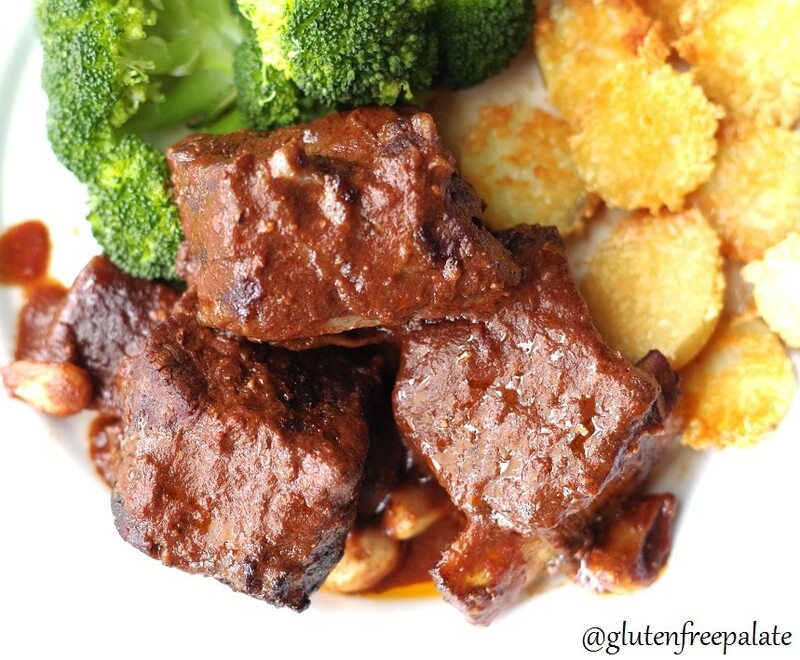 A good Slow Cooker Short Rib recipe will get me excited to make dinner any day of the week. It will have me running to the store looking for the best cuts of beef short ribs and it will have my family at the dinner table on time. These slow cooker beef short ribs are one of my favorite meals and after you make it from scratch like I did, it’ll be one of your favorites too. I’ve had plenty of beef short ribs in my time, most from restaurants and too many from expensive menu. I honestly thought that I had to go to an expensive restaurant to get a good slow cooker short rib. I am so glad I was wrong. Beef short ribs are easy to make and it can be just as amazing as the restaurant version. So many people are afraid to make them because they think only master chefs can cook up a good beef short rib. 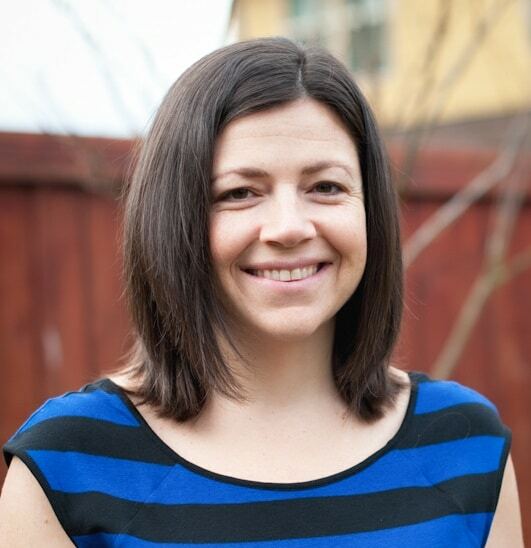 Do you have a slow cooker or Crock Pot? Well, you can make this. 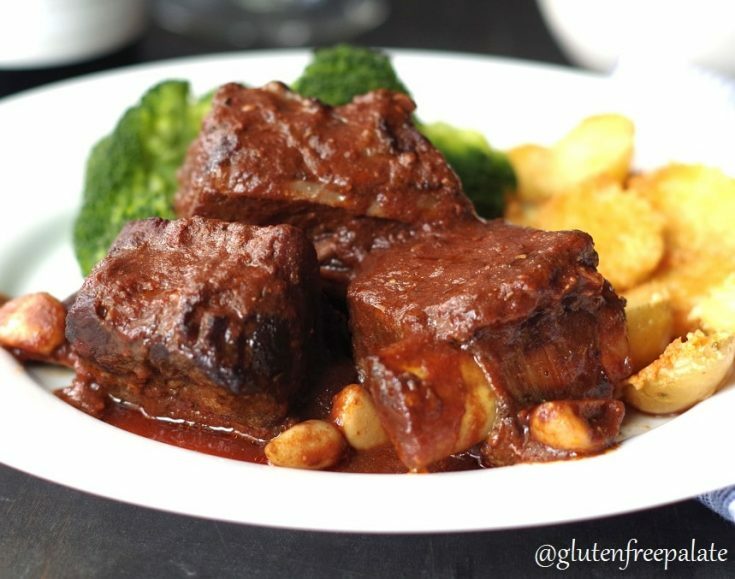 A tasty slow cooker beef short rib requires a good cut of meat, some spices, a couple of other ingredients and of course a slow cooker. See how easy that is! Throw everything including your beef ribs into your slow cooker and let those scrumptious little beef short ribs simmer for a few hours. No need to watch it. Just set a timer. Let the beef ribs simmer in their own juices. The dutch processed cocoa in this recipe plays a very special part. It works like magic and pulls all the flavors together, creating an amazing savory sauce for the beef ribs. You’ve heard of coffee amplifying flavors, right? 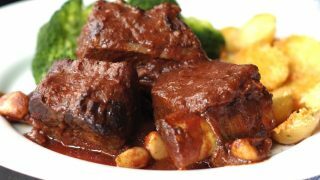 Cocoa works the same way in this slow cooker short rib recipe and it adds its own special flavor to the sauce. And, no, it doesn’t taste like chocolate. Please trust me on this and try it. 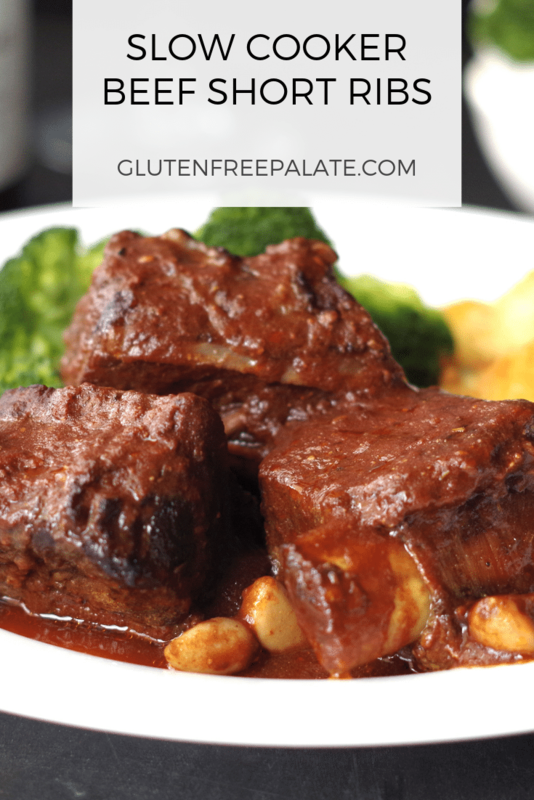 If you’re not a meat eater, then I will apologize now because I don’t have a good vegetarian or vegan substitution for you for this savory beef short rib recipe. I wish I did. You’re welcome to make the sauce and let it simmer on the stove top for an hour. I bet it would be scrumptious over veggies. I used the broccoli to wipe up the remaining sauce and was pretty pleased. These Slow Cooker Beef Short Ribs are fall-off-the-bone tender, bursting with flavor, simple to make and are sure to have everyone at the table asking for seconds. You can double or triple the batch for a larger crowd. How long does it take to cook beef ribs in a slow cooker? 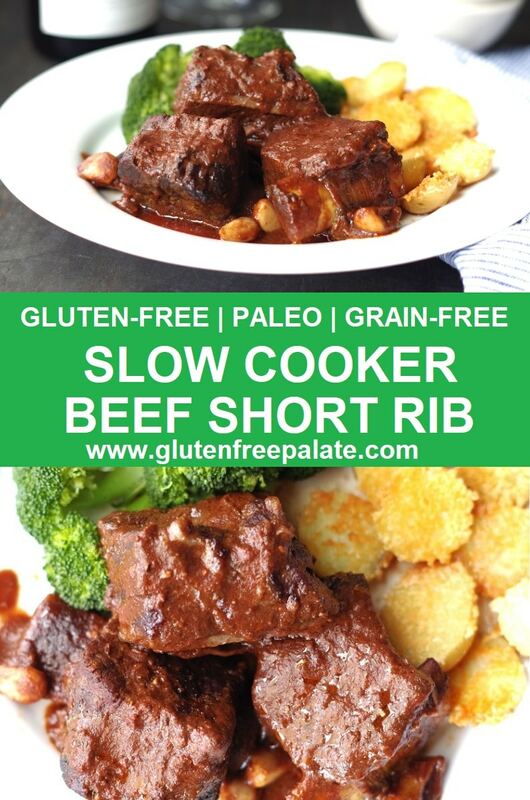 It takes about 4-6 hours for most beef rib recipes in a slow cooker. It depends on how many pounds of beef short ribs you are slow cooking. 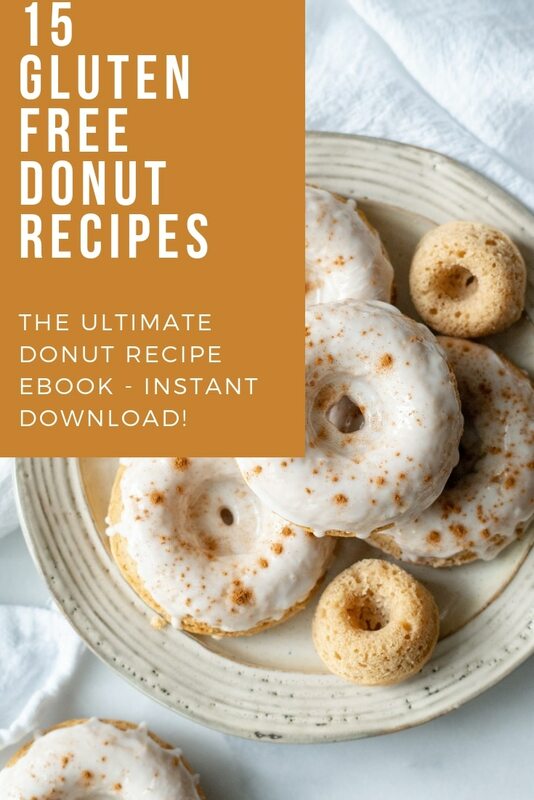 If you have an instant pot I recommend using that if you are in a time-pinch. The instant pot speeds up the process without compromising on taste or texture in the instant pot beef short ribs. I created a Instant Pot (Pressure Cooker) Savory Beef Short Rib as well. You also might like my Instant Pot Mongolian Beef. Follow the directions and don’t skip steps. When you brown the beef ribs, make sure they have a good brown crust to them. Add the ingredients in the order they are listed. If you have questions on substations, just ask. When the beef short ribs are done. Allow them to sit in the slow cooker for at least 30 minutes. Make sure to spoon some extra sauce over the beef short ribs before serving. Store leftover beef short rib in the refrigerator with the sauce covering it. It will help keep the neat from drying out. 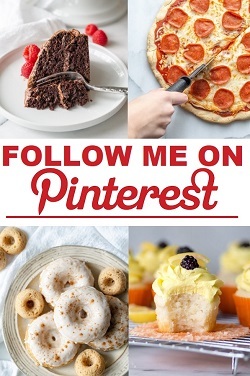 Loving savory beef dishes? Noshtastic has a Paleo Pot Roast that is super simple to make and comforting any time of year. If you’re looking for a fantastic side dish to serve with your beef short rib, Go Dairy Free has an amazing Dairy Free Ranch Pasta Salad recipe, and Perry’s Plate has a simple, yet delicious recipe for Roasted Fall Vegetables. If you want to keep it simple, you could opt for a Balsamic Strawberry Cobb Salad. Did you make these easy slow cooker beef short ribs? Let me know what you thought of these beef ribs. If you have any questions, please leave a comment below and I will get back to you. Take your dinner to the next level with this simple, yet stunning, Savory Beef Short Rib recipe. Mix the first five ingredients (the spices) and rub on the outside of the beef short rib; set aside. Place the tomato paste, water, balsamic, garlic cloves, Dijon mustard, and cocoa into a slow cooker and mix with a spoon until combined. Turn the slow cooked on low. In a medium sized skillet, heat the oil until melted and it coats the pan. Sear beef short on all sides until brown. About one minute per side. Add the seared beef short rib to the slow cooker and cover. Cook until tender and falls of the bone. Cocoa always adds such amazing depth and richness! Short ribs are our favorite and I can’t get enough recipes! This one looks spectacular! Pinned! Thank you 🙂 We love short rib too. Is the cooking time really only 4 minutes? I’m so glad you like the recipe. Thank you for letting me know.